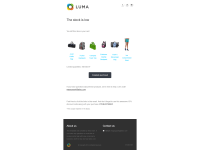 Turn hesitating visitors into buyers with a smart email marketing strategy. 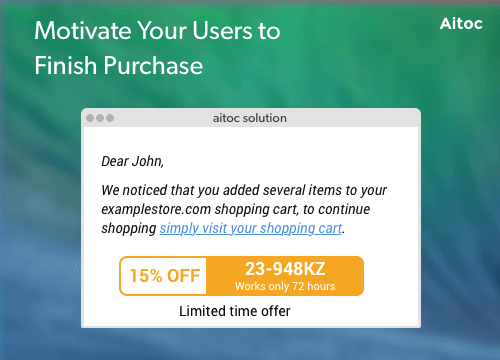 Incentivize more purchases with flexible email offers spread out across multiple emails. You decide how many emails should be sent and what exact offers and discounts they contain. 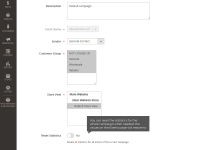 Adjust campaigns on the go for even more flexibility. 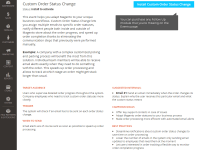 This module is part of Follow Up Emails marketing tool. A customer has added a product to the cart, but he didn’t buy it after all. Why? The answer to this question will be fundamental for improving your existing strategy and customers’ feedback is exactly what you need here. 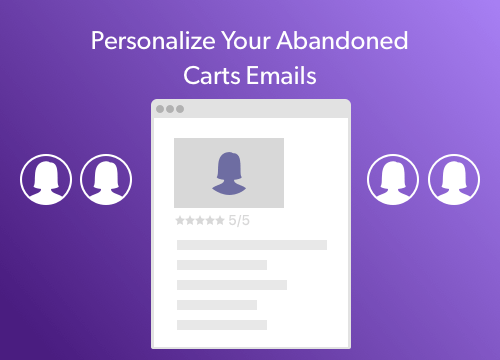 By sending abandoned cart emails, not only you remind buyers about items left in cart, but also find out the reason why those products were abandoned in the first place. Direct communication with prospects helps store owners to bring valuable insights into possible options for improvement. 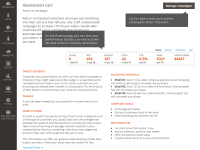 Abandoned carts inevitably decrease the ecommerce conversion rate. Kind emails reminders have the power to resolve this issue. If properly designed and written, they will encourage buyers to come back to the store and finalize the purchase, turning more prospects into actual customers. 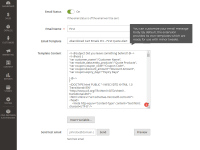 Once you set up the abandoned cart email template using the extension, you can configure the required trigger actions and set up optimal time for email delivery. 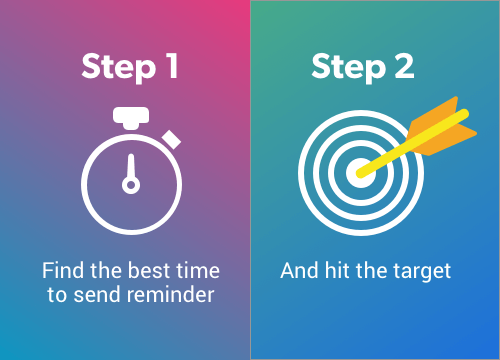 As soon as a trigger takes places, the module will send out an email in a completely automated way, saving your time and money on performing this task manually. Convince users to go back and finish their order. Sweeten the deal with custom offers. 15% of users say they would buy a product if they are offered a discount. Give these customers a reason to return to your store. Make your message irresistible! Some people won’t be impressed with your first deal. Make them an even better one. We sell premium modern cloth nappies that are one of the best on the market. Price-wise, we are way higher than 90% of other MCN manufacturers. We’ve been looking for different ways to make customer acquisition cheaper and more effective. For us the extension is a great way to offer discounts to parents who are on the fence about buying our product. Getting a neat coupon in an email can sometimes sway new buyers to making a purchase since most of them are operating on a tight budget. Our target audience is grandpas and grandmas looking for an original present for their grandkids. Grandparents like to plan a long time ahead, so they start shopping for a present way before the event. Which means we often see how our customers get lost in the shopping process, add something to the cart and forget about it, never returning to the store again. We needed a way to call these customers back to our store. The extension helped us successfully open up a new way to get new sales, remind customers of the toys they once liked and maybe forgot about, and give them a nice discount. Our marketing team encountered a growing number of abandoned carts in the store. The numbers were as high as 90%. 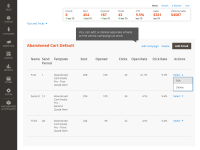 Abandoned Cart Emails Pro became the first retargeting tool for the team. With its help we opened a new customer acquisition channel reminding potential buyers of their pending purchases and offering discounts to incentivize those who are on the fence. According to the built-in extension stats, returning customers have risen to 7% of all buyers, and now contain a growing section of all store sales. The team plans to integrate the extension into regional stores, too. 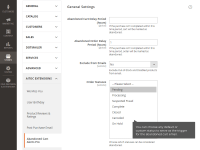 Abandoned Cart Emails Pro is fully GDPR compliant. 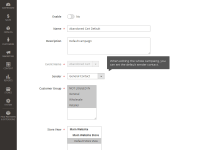 The extension sends out emails to customers who have already registered with your website and have agreed to process their data by the Magento store. And since they added some products to their Cart view they have demonstrated genuine interest in company’s merchandise. 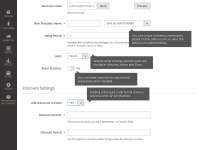 All users can also unsubscribe from Abandoned Cart email alerts by clicking Unsubscribe on any email they receive. 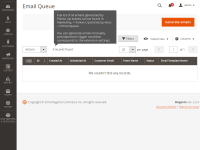 Follow up Emails for Magento 2 – Create and manage multiple types of follow up campaigns, send out custom email notifications to buyers and prospects, and track customer analytics. Product Reviews & Ratings extension for Magento 2 – Send out automated emails to buyers to ask them to leave their feedback or rate the goods they have purchased. The extension is a nice tool to recover abandoned carts, it even works for guest users which is absolutely amazing. The positive effect on sales is noticeable so I'm glad that we decided to try this extension out. I like the extension, it helped me see how many carts can be actually retrieved and transformed into sales. It appears that we've been missing on a notable chunk of sales. It took me some time to install it properly which is the only drawback. You guys are absolutely fantastic. 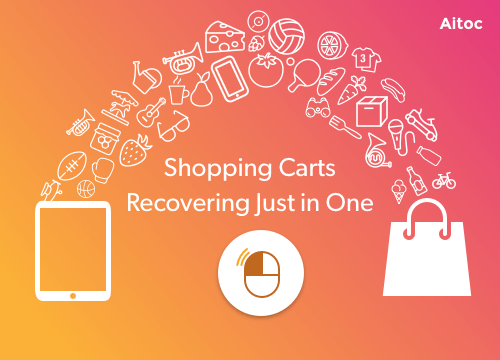 We couldn’t have asked for a better cart abandonment solution for our Magento 2 store. 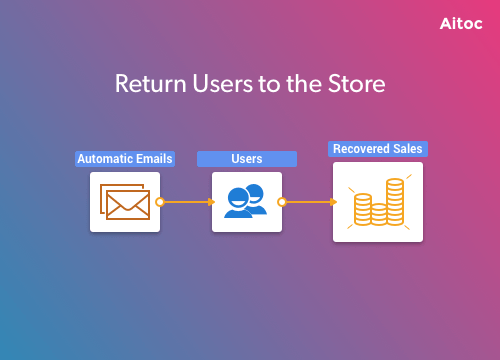 We experimented with different email templates first, and today our sales are just about to reach an all-time high thanks to the cart recovery functionality. BTW, we’ve turned some unregistered users who received our abandoned cart alerts into loyal customers. I've had this module for several months now and can tell that the number of recovered carts has increased several times. this ext is the first thing that any shop owner should install no doubt! I received a quick response from the Aitoc team when I had issue with installing Abandoned Carts. I loved the quick response. So kudos for reacting fast and making things right. 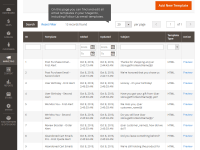 + Abandoned Cart Emails Pro becomes a part of Follow Up Emails marketing tool. * Fixed some installation-related issues.